POSTGRESQL is an object-relational database developed on the Internet by a group of developers spread across the globe. It is an open-source alternative to commercial databases like Oracle and Informix. POSTGRESQL was originally developed at the University of California at Berkeley. In 1996, a group began development of the database on the Internet. They use email to share ideas and file servers to share code. POSTGRESQL is now comparable to commercial databases in terms of features, performance, and reliability. It has transactions, views, stored procedures, and referential integrity constraints. It supports a large number of programming interfaces, including ODBC, Java (JDBC), TCL/TK, PHP, Perl, and Python. POSTGRESQL continues to improve at a tremendous pace thanks to a talented pool of Internet developers. There are two aspects of database performance tuning. One is improving the database's use of the CPU, memory, and disk drives in the computer. The second is optimizing the queries sent to the database. This article talks about the hardware aspects of performance tuning. The optimization of queries is done using SQL commands like CREATE INDEX, VACUUM, VACUUM FULL, ANALYZE, CLUSTER, and EXPLAIN. These are discussed in my book, PostgreSQL: Introduction and Concepts at http://momjian.us/main/writings/pgsql/aw_pgsql_book/. You can see that storage areas increase in size as they get farther from the CPU. Ideally, a huge amount of permanent memory could be placed right next to the CPU, but this would be too slow and expensive. In practice, the most frequently used information is stored next to the CPU, and less frequently accessed information is stored farther away and brought to the CPU as needed. Moving information between various storage areas happens automatically. Compilers determine which information should be stored in registers. CPU chip logic keeps recently used information in the CPU cache. The operating system controls which information is stored in RAM and shuttles it back and forth from the disk drive. CPU registers and the CPU cache cannot be effectively tuned by the database administrator. Effective database tuning involves increasing the amount of useful information in RAM, thus preventing disk access where possible. Proper tuning involves keeping as much database information in RAM as possible while not adversely affecting other areas of the operating system. POSTGRESQL does not directly change information on disk. Instead, it requests data be read into the POSTGRESQL shared buffer cache. POSTGRESQL backends then read/write these blocks, and finally flush them back to disk. Backends that need to access tables first look for needed blocks in this cache. If they are already there, they can continue processing right away. If not, an operating system request is made to load the blocks. The blocks are loaded either from the kernel disk buffer cache, or from disk. These can be expensive operations. The default POSTGRESQL configuration allocates 1000 shared buffers. Each buffer is 8 kilobytes. Increasing the number of buffers makes it more likely backends will find the information they need in the cache, thus avoiding an expensive operating system request. The change can be made with a postmaster command-line flag or by changing the value of shared_buffers in postgresql.conf. You may think, ``I will just give all my RAM to the POSTGRESQL shared buffer cache.'' However, if you do that, there will be no room for the kernel or for any programs to run. The proper size for the POSTGRESQL shared buffer cache is the largest useful size that does not adversely affect other activity. To understand adverse activity, you need to understand how UNIX operating systems manage memory. If there is enough memory to hold all programs and data, little memory management is required. However, if everything doesn't fit in RAM, the kernel starts forcing memory pages to a disk area called swap. It moves pages that have not been used recently. This operation is called a swap pageout. Pageouts are not a problem because they happen during periods of inactivity. What is bad is when these pages have to be brought back in from swap, meaning an old page that was moved out to swap has to be moved back into RAM. This is called a swap pagein. This is bad because while the page is moved from swap, the program is suspended until the pagein completes. Pagein activity is shown by system analysis tools like vmstat and sar and indicates there is not enough memory available to function efficiently. Do not confuse swap pageins with ordinary pageins, which may include pages read from the filesystem as part of normal system operation. If you can't find swap pageins, many pageouts is a good indicator you are are also doing swap pageins. You may wonder why cache size is so important. First, imagine the POSTGRESQL shared buffer cache is large enough to hold an entire table. Repeated sequential scans of the table will require no disk access because all the data is already in the cache. Now imagine the cache is one block smaller than the table. A sequential scan of the table will load all table blocks into the cache until the last one. When that block is needed, the oldest block is removed, which in this case is the first block of the table. When another sequential scan happens, the first block is no longer in the cache, and to load it in, the oldest block is removed, which in this case is now the second block in the table. This pushing out of the next needed block continues to the end of the table. This is an extreme example, but you can see that a decrease of one block can change the efficiency of the cache from 100% to 0%. It shows that finding the right cache size can dramatically affect performance. Another tuning parameter is the amount of memory used for sort batches. When sorting large tables or results, POSTGRESQL will sort them in parts, placing intermediate results in temporary files. These files are then merged and resorted until all rows are sorted. Increasing the batch size creates fewer temporary files and often allows faster sorting. However, if the sort batches are too large, they cause pageins because parts of the sort batch get paged out to swap during sorting. In these cases, it is much faster to use smaller sort batches and more temporary files, so again, swap pageins determine when too much memory has been allocated. Keep in mind this parameter is used for every backend performing a sort, either for ORDER BY, CREATE INDEX, or for a merge join. Several simultaneous sorts will use several times this amount of memory. This value can be changed using a postmaster command-line flag or by changing the value of sort_mem in postgresql.conf. Both cache size and sort size affect memory usage, so you cannot maximize one without affecting the other. Keep in mind that cache size is allocated on postmaster startup, while sort size varies depending on the number of sorts being performed. Generally, cache size is more significant than sort size. However, certain queries that use ORDER BY, CREATE INDEX, or merge joins may see speedups with larger sort batch sizes. Also, many operating systems limit how much shared memory can be allocated. Increasing this limit requires operating system-specific knowledge to either recompile or reconfigure the kernel. More information can be found in the POSTGRESQL administrators guide, http://developer.postgresql.org/docs/postgres/kernel-resources.html. As a start for tuning, use 15% of RAM for cache size, and 2-4% for sort size if you have just a few big sessions, and much smaller if you have lots of small sessions. You can try increasing it to see if performance improves and if no swapping occurs. If the shared buffers are oversized, you waste overhead maintaining too many buffers, and it takes RAM that could be used by other processes and as additional kernel disk buffer cache. A valuable server parameter is effective_cache_size. This parameter is used by the optimizer to estimate the size of the kernel's disk buffer cache. In kernels with a unified buffer cache, this value should be set to the average amount of unused RAM in the kernel because such kernels use unused RAM to cache recently accessed disk pages. On kernels with a fixed-sized disk buffer cache, this should be set to the size of your kernel buffer cache, typically 10% of RAM. 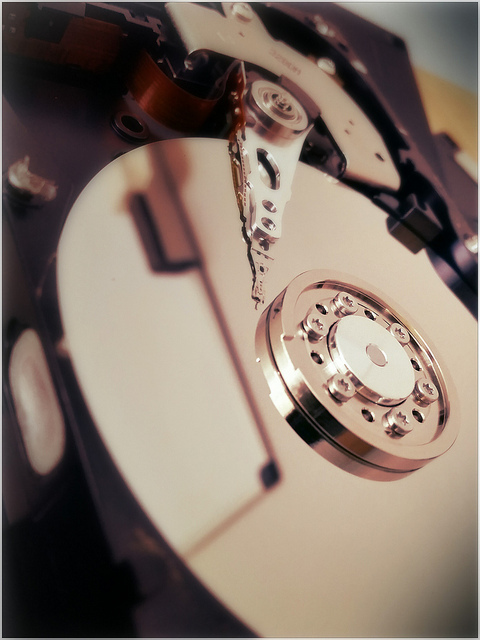 The physical nature of disk drives makes their performance characteristics different from the other storage areas mentioned in this article. The other storage areas can access any byte with equal speed. Disk drives, with their spinning platters and moving heads, access data near the head's current position much faster than data farther away. Moving the disk head to another cylinder on the platter takes quite a bit of time. Unix kernel developers know this. When storing a large file on disk, they try to place the pieces of the file near each other. For example, suppose a file requires ten blocks on disk. The operating system may place blocks 1-5 on one cylinder and blocks 6-10 on another cylinder. If the file is read from beginning to end, only two head movements are required -- one to get to the cylinder holding blocks 1-5, and another to get to blocks 6-10. However, if the file is read non-sequentially, e.g., blocks 1,6,2,7,3,8,4,9,5,10; ten head movements are required. As you can see, with disks, sequential access is much faster than random access. This is why POSTGRESQL prefers sequential scans to index scans if a significant portion of the table needs to be read. This also highlights the value of the cache. One solution to disk saturation is to move some of the POSTGRESQL data files to other disks. Remember, moving the files to other filesystems on the same disk drive does not help. All filesystems on a drive use the same disk heads. Tablespaces allow you to create objects on different drives. Other options include the use of RAID disks to spread a single filesystem across several drives. Mirroring can slow down database writes, but will speed database reads because data can be retrieved from either drive. Many sites use RAID 1+0 or RAID 0+1 because it offers the advantage of striping for performance, and mirroring for reliability. RAID 5 is faster for six or more drives. Ideally, RAID 5 will have battery-backed cache so writes can be flushed to disk in an efficient manner rather than slowing down the application while writes hit the platters. Modern disk drives have both a read and write cache. The read cache keeps recently requested disk blocks available in disk memory. The write cache holds write requests until they can efficiently be stored on the disk platters. You might relialize this could be a problem -- what if the drive loses power while it is holding write data that hasn't yet been written to the disk platters? Some disk drives, and RAID controllers, have a battery-backed write cache that keeps the data safe and writes it to the disk platters when full power is restored. However, most drives do not have this feature, and are therefore unreliable. Fortunately, you can turn off the write cache in most drives. SCSI drives typically have the write cache turned off. IDE drives usually have the write cache turned on, but can be turne off with an operating system command link hdparm -W0, sysctl hw.ata.wc = 0, or scsicmd. However, some IDE drives will report that their write cache is turned off, but still use it and remain unreliable. It is difficult to fine out which drives are lying without extensive testing. Because PostgreSQL writes the write-ahead log to disk on every transaction commit using fsync(), and waits for that write to complete, users will see a huge performance boost if a write cache is used. Therefore, for performance and reliability, it is ideal if PostgreSQL can use a battery-backed write cache. SCSI drives are usually significantly more expensive than IDE drives. SCSI drives have a protocol that is used to communicate with the controller and operating system, while IDE drives are much simpler and can accept only a single request at a time. SCSI drives with tagged queueing can accept multiple requests and can reorder them to improve efficiency. This is why SCSI and IDE disks have similar performance characteristics for single-user or single-file I/O operations, but scsi performance is much better than IDE when the requests are generated by multiple users or processes. For this reason, SCSI is preferred for heavily-used database servers. In fact, SCSI or IDE is only one way to generally distinguish between the two major types of drives -- enterprise drives, which are designed for high performance and reliability, and personal computer drives, which are designed to minimize cost. This paper, http://www.seagate.com/content/docs/pdf/whitepaper/D2c_More_than_Interface_ATA_vs_SCSI_042003.pdf, does an excellent job of describing the tradeoffs in producing drives based on performance/reliability or reduced cost. It is an excellent guide in choosing drives based on their features. Some operating systems support multiple disk file systems. In such cases, it can be difficult to know which file system performs best. POSTGRESQL usually performs best on traditional Unix file systems like the BSD UFS/FFS filesystems, which many operating systems support. The default 8K block size of UFS is the same as POSTGRESQL's page size. You can run on journal and log-based file systems, but these cause extra overhead during fsync's of the write-ahead log. Older SvR3-based file systems become too fragmented to yield good performance. File system choice is particularly difficult on Linux because there are so many file system choices, and none of them are optimal: ext2 is not entirely crash-safe, ext3, XFS, and JFS are journal-based, and Reiser is optimized for small files and does journalling. The journalling file systems can be significantly slower than ext2 but when crash recovery is required, ext2 isn't an option. If ext2 must be used, mount it with sync enabled. Some people recommend an ext3 filesystem mounted with data=writeback. NFS and other remote file systems are not recommended for use by POSTGRESQL. NFS does not have the same file system semantics as a local file system, and these inconsistencies can cause data reliability or crash recovery problems. POSTGRESQL uses a multi-process model, meaning each database connection has its own Unix process. Because of this, all multi-cpu operating systems can spread multiple database connections among the available CPUs. However, if only a single database connection is active, it can only use one CPU. POSTGRESQL does not use multi-threading to allow a single process to use multiple CPUs. When write-ahead log files fill up, a checkpoint is performed to force all dirty buffers to disk so the log file can be recycled Checkpoints are also performed automatically at certain intervals, usually every 5 minutes. If there is a lot of database write activity, the write-ahead log segments can fill too quickly, causing excessive slowness as all dirty disk buffers are flushed to disk. Checkpoints should happen every few minutes. If they happen several times a minute, performance will suffer. To determine if you are checkpointing too frequently, look in your server logs for a message emitted by checkpoint_warning. This message is emitted if you checkpoint more than once in a 30 second period. This message indicates that the wal_files parameter should be increased in postgresql.conf. Fortunately, POSTGRESQL doesn't require much tuning. Most parameters are automatically adjusted to maintain optimum performance. Cache size and sort size are two parameters administrators can control to make better user of available memory. Disk access can also be spread across drives. Other parameters may be set in share/postgresql.conf.sample. You can copy this file to data/postgresql.conf to experiment with some of POSTGRESQL's even more exotic parameters.